‘Running out of things to say’ with a girl! The 10 hook lead system. This system is by far the most popular request I get from my students. I want to share with you what the 10 hook lead system is (if you are yet unaware of it) why it works and how to get more information on it in the near future. Creating sexual escalation and/or getting out of the comfort or friend zone. Running out of things to say! Running out of things to say, can actually translate to many other sticking points in regards to general conversation skills. 1: Not possessing the ability to avoid or stop awkward or uncomfortable silences. 3: Subjecting the women to interrogation style questioning. There are a few reasons, but usually the most common one is because the man is outcome dependant, and consequently he is nervous. Nerves can make us all go BLANK, and when we go blank, we make stupid mistakes, which we kick ourselves over afterwards. Another common reason is that a lot of my students are used to only talking to people in their social groups, and rely on meeting women via those social groups. This means they wait to meet women who might be sitting at their friends table in a pub /bar or club and therefore getting their attention through conversation can be done nice and slowly with zero time constraint, and of course all formal introductions will be made nice and smoothly too. But in reality, men want to have the power to pick the woman whom they want rather than just rely on waiting for the RIGHT woman to join their social groups table or to be introduced to the RIGHT woman through a friend at a party. Unfortunately, because they have gotten so used to the former method of meeting and talking to women, they now find themselves making one or more of the four mistakes I mentioned before when they approach a stranger. The 10 hook lead system is a clear, practical and actually quite a fun way to have great conversations with women. 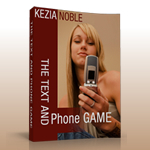 It gives men the ability to transition the opener to a full-blown conversation effortlessly. It serves to display the mans personality to the best of his ability, rather than change his personality or become someone he is not. It can force even the most unresponsive of women to respond and it nails all those unwanted uncomfortable or awkward silences once and for all. I developed this system three years ago, and each one of my students who have mastered the system now have zero problems in talking to ANY woman, whether its be in the street in the day time or in a crowded bar at night. Why is it called the 10 hook lead system? Simple. There are always 10 ways you can go with almost anything (hook) that she says. Having 10 options to go with makes it near impossible to ever run out of material. The first step however is generating what I call a HIGH CALIBRE hook (useful hook) from her rather than a LOW CALIBRE hook. This makes the process a lot easier. i.e. if you ask a woman her name and she says “Sarah” then your options are limited in terms of where to go next. Where as using an opinion opener for instance that will generate a high calibre hook such as a MOVIE title, will result in giving you a whole 10 options to go with. Sound familiar? This is a classic case of a man generating useless hooks. She responds, he struggles to take the conversation further, in come the uncomfortable silences, woman gets bored of interrogation, man offers her drink in a desperate attempt to hold on to her attention, game over. By the time he gets her to generate a high calibre hook such as asking what she does for a living, it is unfortunately too late! By then her first impression has set in, and her mind is fully concentrated on goin back to her girlfriends, or finding a polite way of ending the interaction. Apart from the fact that he is only generating low calibre hooks, he is also constantly ending each answer with another and another non-related question. Meanwhile the woman is getting bored, and quickly realising that she is not actually having a two-sided conversation. She has no wish to ask him anything about himself, and definitely does not feel he is saying anything that will draw her away from having a great time with her friends. How many times have I personally, been in this scenario with a man? Answer: Too many times! In my next blog post, I will give you an example of just o ONE of the 10 hook leads that you can respond with. I will show you how just using one of the hook leads can open up the conversation and get her asking questions about you in return! But first, you must understand, that it is up to you to generate the high calibre hooks from her in those very early stages in order to use the 10 hook lead system to its full power.